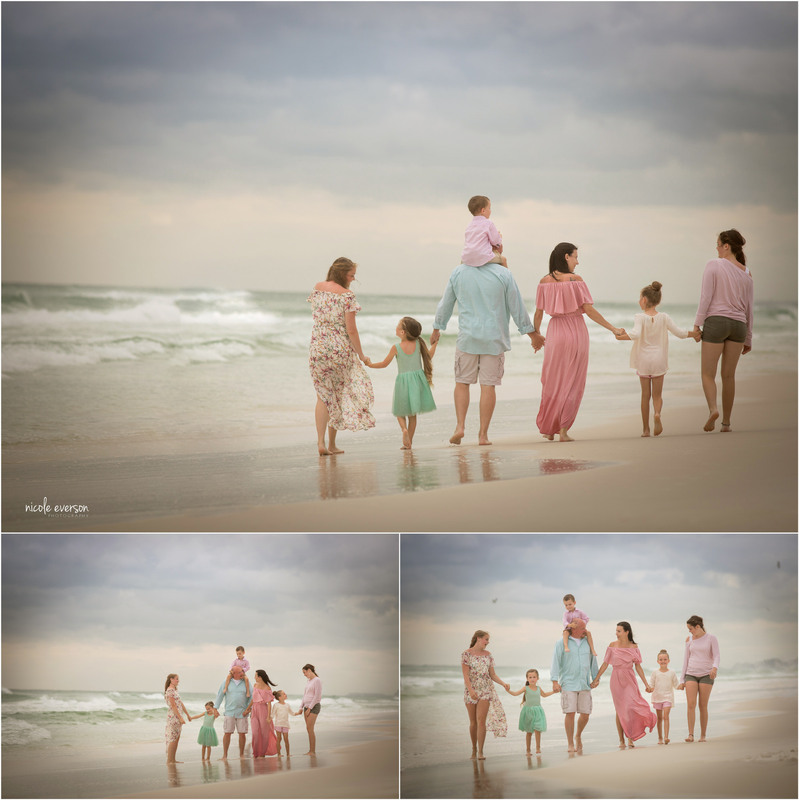 With so many talented Destin photographers, I am always so honored when a mom chooses me to be her family photographer… A bigger honor is when the mom is a fellow photographer. 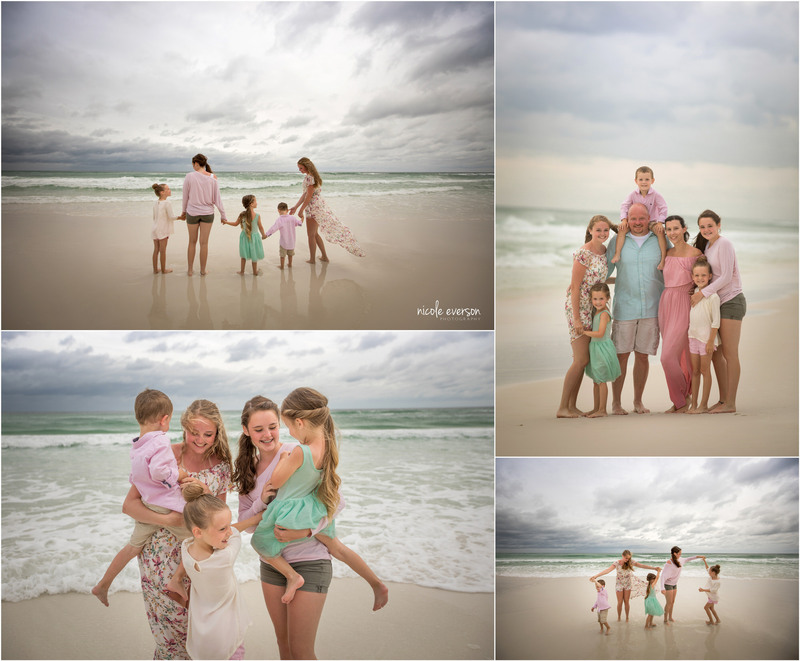 Lacy Nichols is a fellow newborn photographer out of Illinois and gave me the biggest compliment when she told me she planned her entire trip down to Destin Florida so I could photograph her family! When she told me I was on her bucket list I had to act all cool and not act like the dork I felt on the inside blushing and jumping up and down with excitement. The week of her vacation was smack dab in the worst weather we have had all season with a tropical storm coming in off the gulf. But luckily we were able to tweak her session time, and had a total blast! 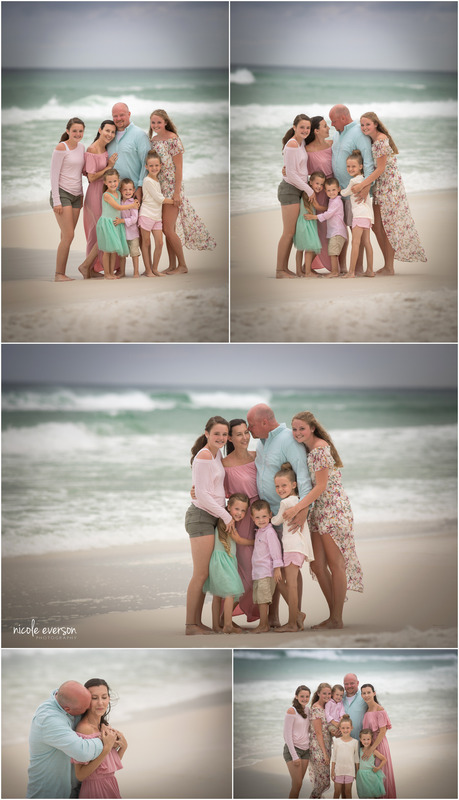 I’m not going to lie, I like all my clients, but this family defiantly wins top five of fun sessions! The wind was kicking, and the sky was threating to open up and rain on us. 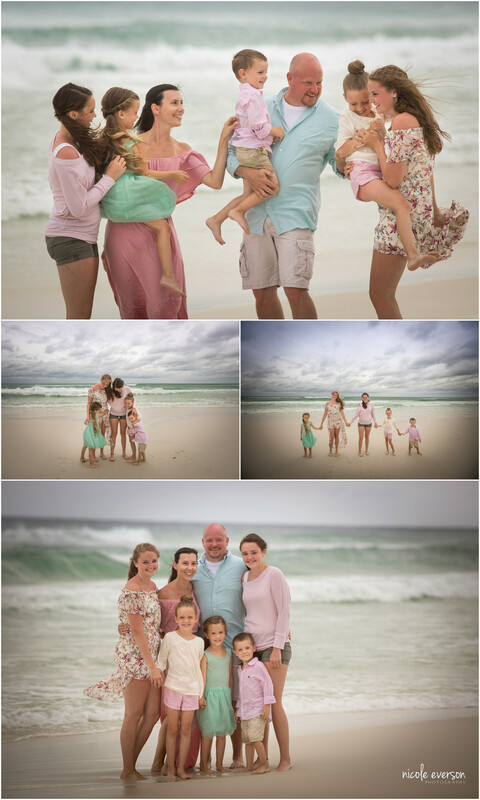 But like God knew how important these beach pictures were everything fell into place and it was magical! And I mean come on look at how epic that sky is!! 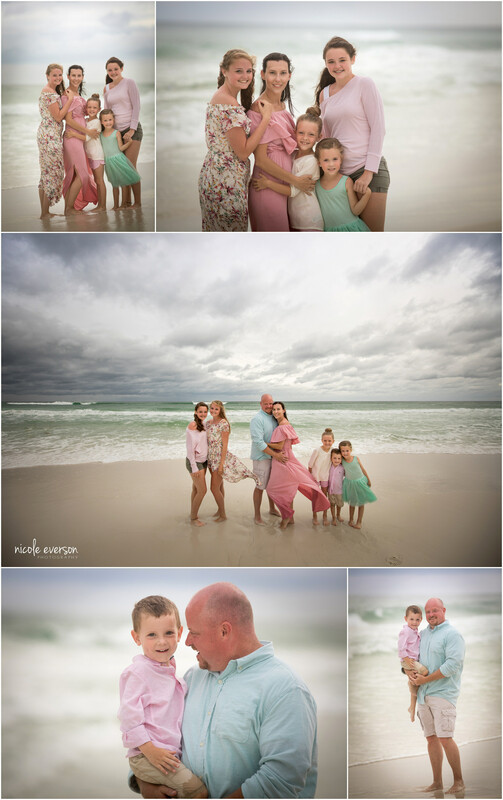 I LOVE how my approach to beach family photography has grown so much in the last 11 years ago. As an artist, I am inspired by a blend of more posed family and mix it up with fun playful real moments. As a mom, I love the pictures of all my kids looking at the camera and smiling. But there is also something so magical about the playful shots. These candid moments really tell the story of your family’s love. Its where your kid’s personalities really shine. 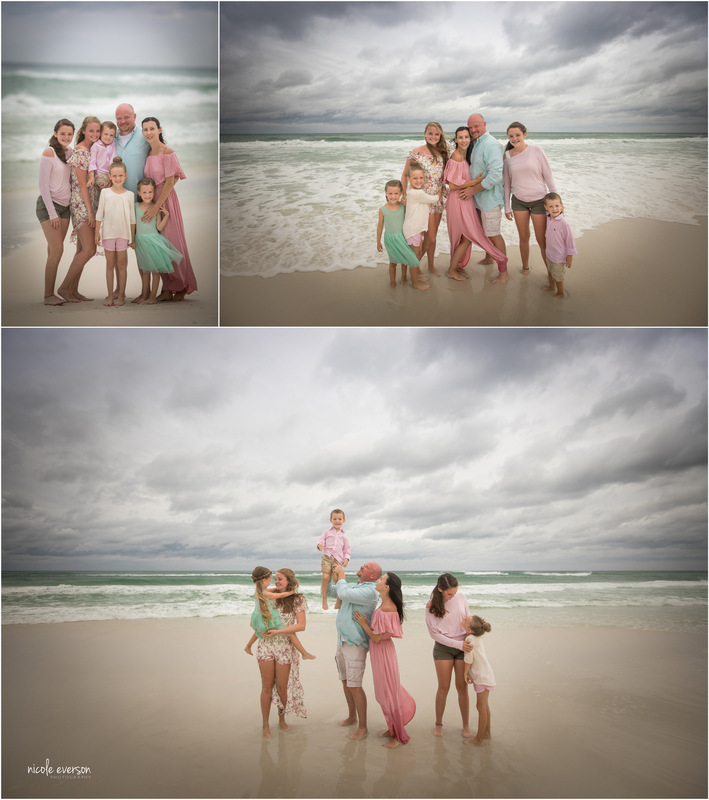 And because I adore this family beach session too much to not share every image..
Are you a Destin Florida local? 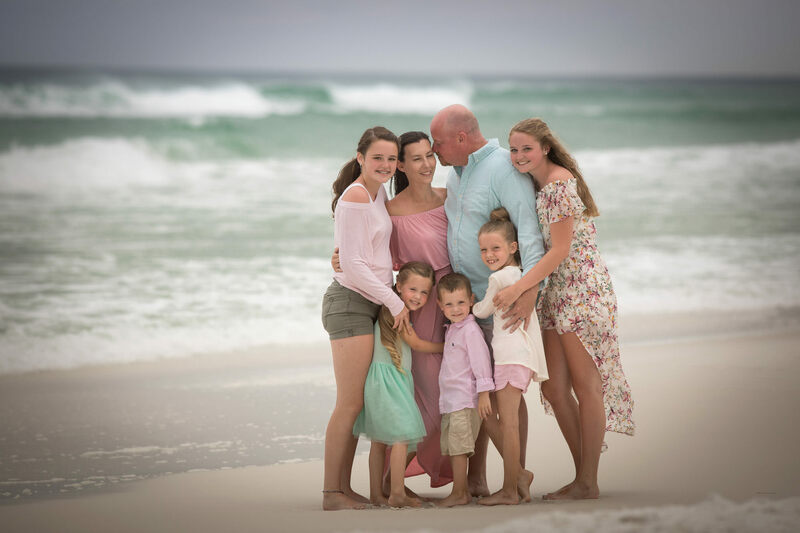 Or maybe one of the many families who decide to come vacation at our beautiful Destin beaches. Fill out my contact form below to learn more information or book your beach photos today.